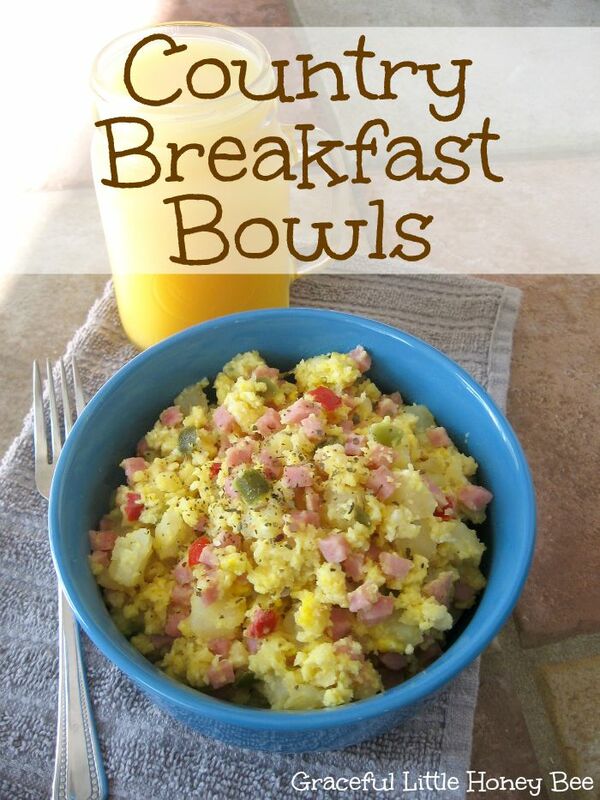 If you follow my frugal weekly meal plans then you’ve probably noticed that I make these Country Breakfast Bowls a lot. I love them because they are so easy to put together and they only require 3-ingredients. Also, they remind my of my grandma who used to make fried potatoes on an almost daily basis. I came up with this recipe when were living with my sister because I still wanted to cook for my family, but it needed to be fast and easy. If you can’t find Potatoes O’Brien in your grocer’s freezer section then you can always dice fresh potatoes, onions and bell peppers for this recipe. I hope you enjoy! Step 1: Heat oil in large skillet over medium heat. Step 2: Add bag of Potatoes O’Brien to skillet and cover until cooked. Step 3: Once potatoes are soft, add ham to skillet. Step 4: Add eggs to skillet and stir until cooked. Step 5: Once eggs are firm and cooked through, scoop mixture into bowls and top with cheese, green onions, etc. Add bag of Potatoes O'Brien to skillet and cover until cooked. 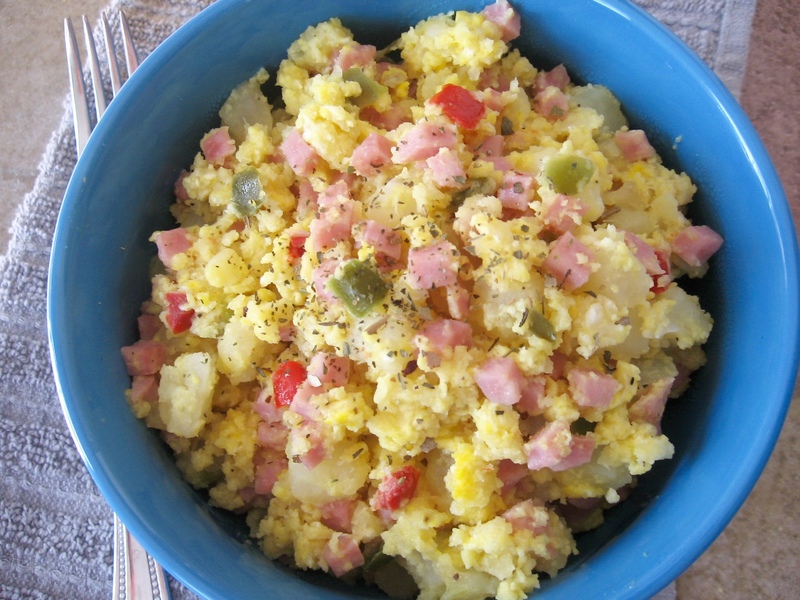 Once potatoes are soft, add ham to skillet. Add eggs to skillet and stir until cooked. Once eggs are firm and cooked through, scoop mixture into bowls and top with cheese, green onions, etc. I make something similar only I add grated cheese. I also use chopped up cooked bacon instead of ham. Such an easy and popular meal anytime! We have made this for 4+ generations with ring-style polish sausage/kielbasa & called it by a German name, Hoppelpoppel, which is so much fun to say! I love the potatoes o'brien idea and I normally "zhuzz" up my recopes with lots of flavors, but I love the simple combo of sausage, eggs, potato, and, forgive me, ketchup! It's delicious as breakfast for dinner; we usually have raw veggies on the side.